Girija Devi is one of the very important tourist destination and religious point in Odisha. Here at this tourist destination a huge tourist flow accurse every day. 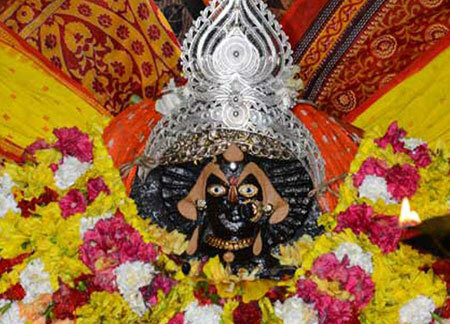 Very beautiful temple architecture, fine stone art, legendary ethics and many more are the speciality of Girija Devi Tour in Odisha, to this tourist destination tourist from various locations of the country India are coming with heart full of religious spirits and with a sole purpose to worship Girija Devi. Excellent facilities are provided to devotees at this tourist destination by Odisha Tourism. Take your breakfast, proceed to Cuttack, and visit Netaji Birth Place, Cuttack Chandi Temple, Deer Park, Maritime Museum, latter visit famous “Girija Devi Temple” in Jajpur. Back and overnight at Bhubaneswar hotel. Take your breakfast, check out from hotel and proceed to Konark, Enroute visit Dhauli, 64 yogini temple, Pipili, latter proceed to Konark and visit Konark Sun Temple (The world heritage site and also known as the black pagoda). Chandrabhaga beach, on arrival, check-in hotel and overnight at Puri hotel. Take your breakfast, proceed to Satapada (Chilika Lake – the Largest Salt Water lake of Asia, It spreads over 1100 Square K.M), enjoy the boat Cruise at Chilika lake & see “Irrawaddy Dolphins” and “Sea Mouth” (Meeting point of lake & sea, name as Chilka’s island). Back to Puri visit world famous Jagannath Temple by our Temple priest, free time enjoys at golden sea beach and beach market. Overnight at Puri hotel. Take your breakfast, check-out hotel visits local market for shopping then transfer to Puri Railway Station for your onwards journey with sweet memories of Jagannath Dham (Odisha).